The video above was taken 8/19/16. So awesome to see so many there pitching in prayerfully and physically, while so many here are also pitching in, prayerfully and financially. God's plan in motion. The above video was captured early the week of 8/22/16. VERY exciting to have overhead ceiling fans made available to the new school office! Next up...the classrooms?! "Men anpil, chay pa lou" Many hands (make) the load lighter. I am unsure that we would call this light work, however, many hands are certainly what is showing up each and every day in Haiti. 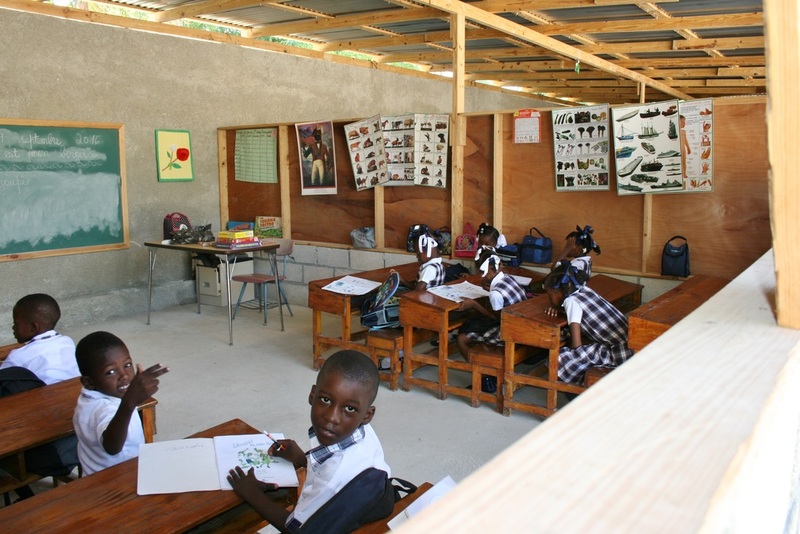 With a new church home and school buildings in their future, the community is coming out to assist in this worthy project, despite the oppressive and at times unbearable heat that settles over Haiti each morning as soon as the sun rises. God's mercy and grace will surely envelope these hard workers each evening as they rest. We are so thankful to the men from the U.S. for traveling there earlier in the summer (2016) to work alongside and encourage the men in the local community--and we can see that has paid off--the progress is breathtaking to see when we are able to get pictures and videos....thank God for his great commission making disciples one heart at a time. This latest release was received 8/25/16!! AMAZING. ​Teachers' Salaries, Daily Healthy Snacks, Books/Educational Materials, Electricity (minimal) and Water, Basic repairs as needed. 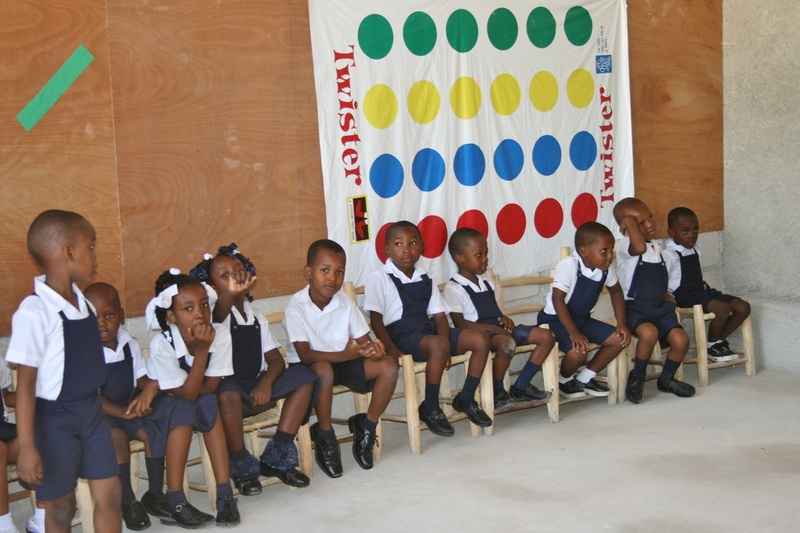 Interested in sponsoring a child to receive an education? Please click the link above to see the current students available for the Program--many come & go throughout the year, as is the norm in Haiti, so opportunities always arise..
​When teams travel, you will have a chance to send a letter/picture to your sponsored student. Once per year, we also try to bring a small care package of socks/undergarments, toiletries, something fun & a small snack item! If you chose to personally put your Student's package together, the board welcomes that kind of generosity. You, as a Sponsor, would receive a picture at least once per year (possibly more often if we have your email!) as well as a letter or picture from your Student. Lori Mounts, JIH Board Member and Student Sponsorship Committee Person, will be in touch with you to coordinate becoming a Sponsor. Thanks goes out to Ostmann Elementary for hosting Joseline Brisenault in 2015 to tour the school, get ideas from teachers, gain a different perspective on ways to run her own school in Haiti. Their new-found relationship was established through the assistance of Stephanie Gamm, JIH Board VP. Students are able to write letters back and forth (pen pals! ), each school is learning about how the other goes about their day and differences in cultures. 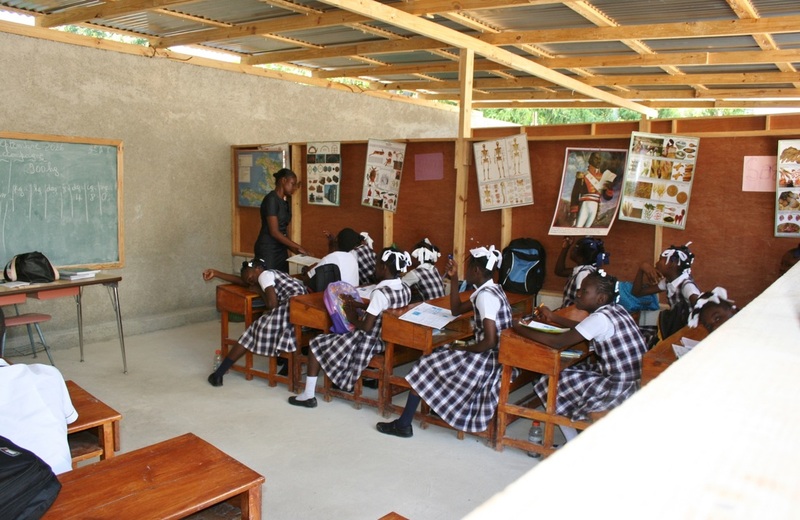 Teachers from Ostmann have the opportunity to travel to Haiti to "teach the teachers"--because Haiti does not have the continuous educational resources that are available in the US, it would benefit two-fold to utilize those skills to teach others! We now will have a page dedicated to Ostmann Elementary, to exhibit letters/pictures sent back and forth, projects undertaken by Ostmann to bring more advanced resources to NCST. Please follow the link to see the page, which will always be under construction, with new additions to stories, pictures and projects! THANK YOU STAFF, STUDENTS and PARENTS AT OSTMANN ELEMENTARY!